Crowdfunding, both charitable and for-profit, has financed everything from struggling arts projects to an Oscar-winning film to (absurdly) a batch of potato salad. Some of the grassroots money-raising platforms charge a percentage for facilitating the donations. Others do it for free. Donors get discounts and other gifts in return for their generosity. When the Singapore Literature Festival, a community-led, grassroots event, took to crowdfunding to organize a literary festival in New York last October, artists offered their creations as incentives to the generous patrons with the largest donations. 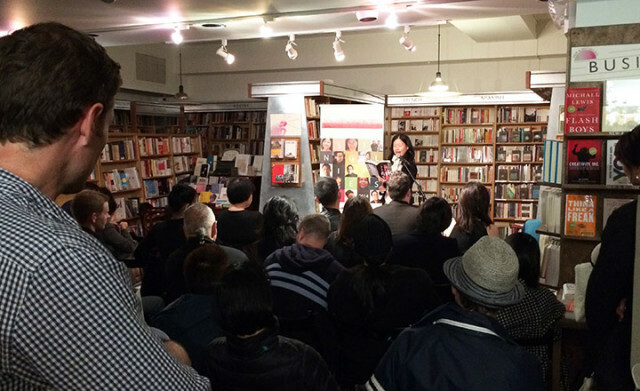 The festival is designed to build awareness of Singaporean writing among readers, editors, and publishing professionals in New York, connect Singaporean and other writers, and offer a platform for regular readings of Singaporean and American literature in New York during the rest of the year. Now, the co-chairs of the Singapore Literature Festival in New York, Jee Leong Koh and Paul Rozario-Falcone, say they are open to repeating their crowdfunding experience for a new festival, although they are not sure when that might happen. TECHtonics caught up with Koh and Rozario via e-mail to learn more about their crowdfunding experience. Q. How did you come up with the idea for the festival? KOH & ROZARIO: It started as an idea from an independent bookstore in Singapore, BooksActually, who knew that my co-chair Jee Leong Koh and I, lived in New York. So the two of us got together, rallied some Singaporean friends and creatives in New York and we formed a volunteer committee to look into producing the Singapore Literature Festival in New York as a grassroots, community-based, volunteer-led event. The Singapore-based writers who flew in for the festival also received some funding from the National Arts Council of Singapore. The festival also had support from publishers. Financially, we therefore had indirect government support, business support, and of course support from individuals. Q. How did the crowdfunding campaign work out? KOH & ROZARIO: It worked out great! We used Kickstarter, put the campaign on Facebook and Twitter, and raised quite a bit of our expenses this way. Because of the international flavor of the festival, we had donors from all over the globe, not just from Singapore and New York. We also had artists donate their artworks as incentives for the higher amounts of gifts. Q. Did the crowdfunding effort meet your expectations? KOH & ROZARIO: … It was our first crowdfunding experience. It did meet and, in the social media area, exceed our expectation because of the number of people we could reach through social media platforms. The remainder of our funding came from publishers who donated books that we were able to sell. Q. Were there hidden fees/commissions associated with the campaign? KOH & ROZARIO: No, Kickstarter was very clear right from the start about fees. Q. Do you see crowdfunding as a viable option for future funding of the arts? KOH & ROZARIO: I think it’s great for one-off events and projects. For annual events such as a festival, I’m not sure if donor fatigue might set in. Our crowdfunding really galvanized our supporters around the Singapore Literature Festival in New York. Donors were so generous because they believed in the importance and value of the festival. Our campaign, conducted several months in advance of the festival not only gave us financial support, but also provided publicity and marketing for the festival. Jee and I, and our dedicated community of volunteer organizers, could not have produced this festival without the mixture – this crowd, if you will – of generous individual donors, publishers, and on-going government grants.